It is no longer necessary to stand over your samples switching different mixing speeds and temperatures in your protocol, our Ther-mix heated mixer can do that all for you. When combined with our intuitive Heated Modules, the Ther-mix allows you to accurately mix and heat samples with ease. Create and store your own mixing profiles with multiple mixing and heating steps through the easy to use LCD touch-screen. A compact, quiet and low vibration thermal mixer, our Ther-mix will provide outstanding temperature uniformity and stability to ensure reliable, reproducible results every time. and our versatile heat blocks prevent condensation in samples. Use with our intelligent Heated Modules for optimal flexibility. 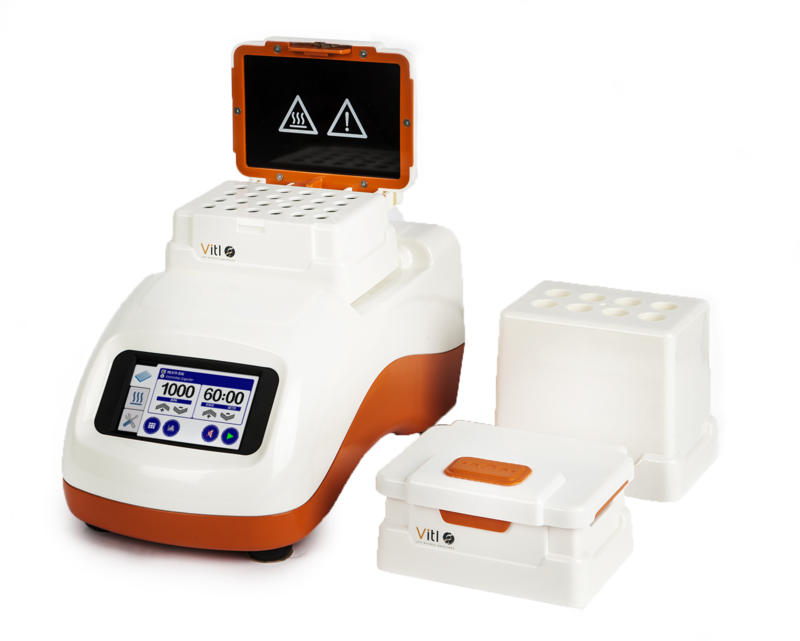 The Ther-mix brings a whole new level of repeatability to heating and mixing protocols. How could our thermal mixer optimise your method?